Long-time readers will know how much of a fan I am of Loro Piana. In particular, of their marked commitment to quality compared to other designers – even if that comes with the same big-brand prices. I’ve worn their blousons, gilets and made-to-measure knitwear (an old piece in The Rake) for many years. However, I had only met the brothers Pier-Luigi and Sergio Loro Piana (the latter now sadly deceased) a couple of times, and that fleetingly. 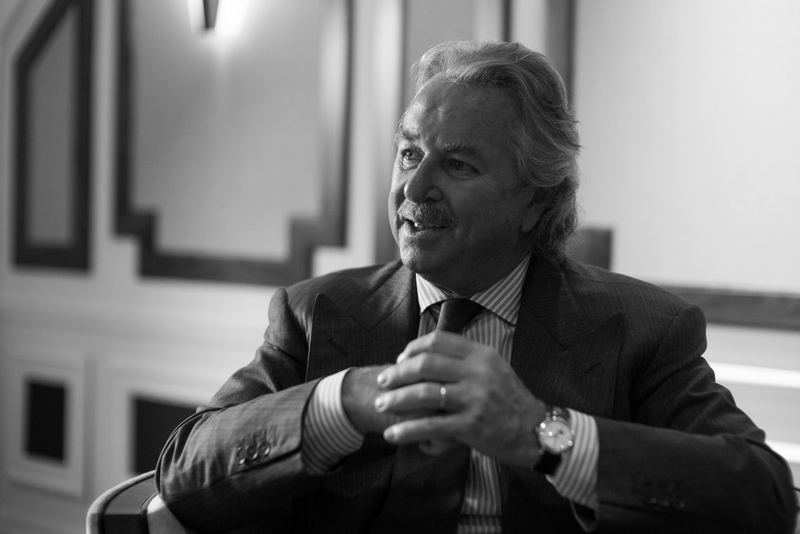 So when Pier-Luigi expressed an interest in getting a copy of my book, The Finest Menswear in the World, I took the chance for a fuller interview. 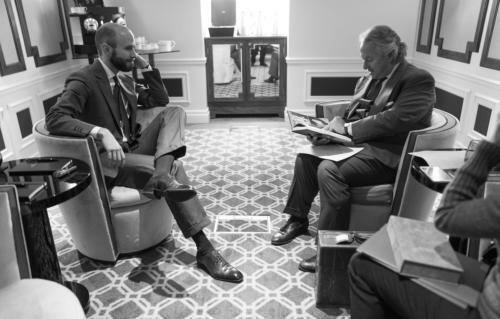 Loro Piana are of course featured in The Finest Menswear for their knitwear, and it was nice that Pier-Luigi remembered our factory visit for the Loro Piana chapter, despite being almost four years ago. He was typically affable as we talked, only turning serious when discussing points of quality or cloth. 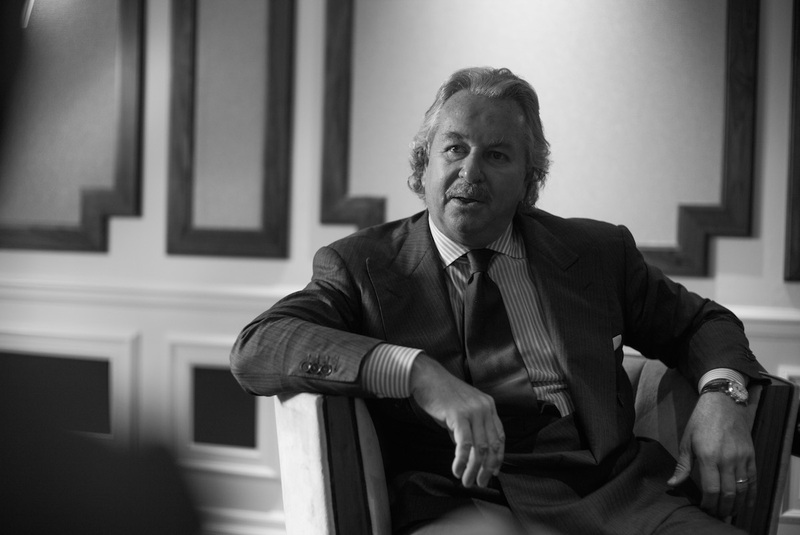 He clearly has firm views on both things and the direction Loro Piana needs to go in this respect, although interestingly his personal items weren’t the most luxurious – prized for their fit or sentimental value rather than quality. Permanent Style: In The Finest Menswear we talk about quality in some detail – what creates it, what doesn’t. Do you think people today more interested in this level of detail when it comes to quality? Pier-Luigi: Yes, absolutely, we see this a lot at Loro Piana. There is a new generation of customers that will ask continuous questions about what they are buying. They care about quality and about provenance, particularly when they are spending more than they would otherwise. Also about sustainability, interestingly. How much they care also depends on the brand though. If the brand is clearly about quality, then they will ask about it. If it’s more about fashion and the look, they won’t. Women shop far more in this way – if something looks great on them, they will buy it. They’re less interested in the quality side. Have you seen this trend in your children too? Yes, although it’s been happening for a while. I remember my kids used to be happy with Nike trainers. That’s all they wanted and all they’d ask for – which is fine, they’re comfortable and they’re not expensive. But then one day my boy Franco said to me, ‘Papi, what do you think about Church’s?’ That took me by surprise – that he wanted to dress more like my generation. Although it was a disaster from a budget point of view – they’re six or seven times more expensive than Nike! Where do you have your shoes made? I like Loro Piana shoes of course – they’re great for travel. But for dress shoes I used to use Stivaleria Savoia. Then he stopped taking orders, and I went for a couple of years without a shoemaker. It’s awful, a bit like losing your dentist! Hopefully he will start making again. In the meantime I have used Riccardo Freccia Bestetti. The ones I’m wearing today are an old try-on pair he made for me. It’s just waste leather but they’re very comfortable. I have rather difficult feet, very wide, so they really need to be made. What tailor do you use? I use the tailor that makes custom suits at the Loro Piana store in Milan. He might take care of me particularly, I couldn’t say! But it’s a great service. Have you ever looked at expanding Loro Piana’s tailoring into full bespoke? Berluti are obviously expanding the reach of luxury brands in this respect, using the old Arnys workshop. We were looking at it before the acquisition by LVMH, and it’s something we’d still like to do if we could. But I also like our custom approach to suiting. There is a lot of handwork, and we deliberately don’t sell many ready-made suits in the shops. Our suiting is all about cloth, and we want customers to take the time to really get into cloth, to understand it and pick out something that is right for them. Also, we have a strong style in our tailoring. If you offer bespoke, it is often more about making anything the customer wants, in any shape and any style. We want people to buy into our style, and if they like it they can have a suit made in it. We don’t want to waver from that. What other clothing do you cherish? 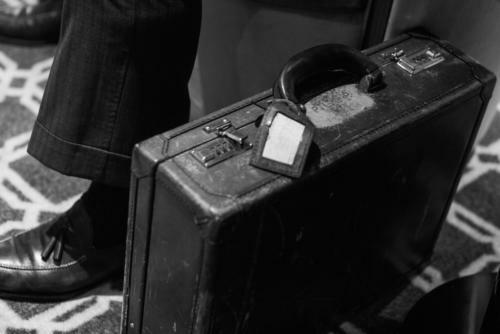 Your briefcase looks well-worn, for example. It’s very old, a gift from my father 40 years ago. He had the same one and gave this to me when I was 24, back in 1975. Were you into classic style back then? Yes, but then we all were. There wasn’t much variation. We were more used to ties, to blazers. It didn’t change so much. My style today is probably a little old-fashioned, although the nice thing is tailoring is pretty consistent. I like your suit, it’s a little sharper and more contemporary [I was wearing my grey Camps de Luca] but it’s just about small changes – an inch in the trouser, half an inch in the lapel. If you look back at the 1930s and 1940s, the lapel was wider and the notch lower, but not by much. Some of the pieces in the current Loro Piana collection seem to be cut a little slimmer, which is great for me and I’d guess for other younger guys. How deliberate was that? It was certainly something we wanted to do, but more to cater to the changing sizes of our customers. Most 40-50 year olds are much healthier than they used to be, for example, and are slimmer as a result. It’s about wellness rather than youth. We’ve always tried to know our customer well, and then cater to him. I always think that a Loro Piana customer could probably wear 80% of the things in our shop. They would all be to his taste; it’s a consistent look and style. Do you like the way clothes age? Absolutely. People come up to me and show me a Loro Piana suit and say, ‘Look, it’s 30 years old!’ I say ‘So what?’ That’s how things should be, that’s how clothes should last. It would be an insult if you threw out a Loro Piana piece after 10 years, unless your body changed shape a lot. Suits don’t always age that well – or don’t look better with age. But a sports jacket can, it can become a little distressed in the fabric and the fit, and there is a chicness to that. A little like jeans. Yes – I used to wear Levi Strauss all the time when I was younger. Those great heavy denims that stood up on their own. Levi’s now does a bespoke service in London and the US. Really? That’s interesting. I don’t wear my Levi’s any more, but we do some nice jeans and I find the material fascinating. Cotton is a wonderful fibre, and denim pushes it to its limit. I did a great trip a few years ago to California, seeing organic cottons we were going to work with, and travelled to Japan looking at the natural indigo dyes. In fact, the reason I went to Japan was a famous Kimono maker wanted to buy some of our lotus flower cloth to weave into a kimono design. It was beautiful, the way she worked it in on an old hand-operated loom. Finally, what do you think is the biggest misunderstanding about Loro Piana? I dislike the word luxury. The word has been so misused over the years, and of course it’s all relative. Our clothes are just about quality – quality which creates value. We make a product with a high value – obviously it’s something very few people can afford, but it’s quality we’re striving for. People always make mistakes – a button can come off in the making. But the important thing is what you are aiming at, and I think customers need to be able to understand that. Most will pick up two cashmere sweaters, one five times as expensive as the other, and have no idea why there is that difference. We have to help – as do you, in your writing. 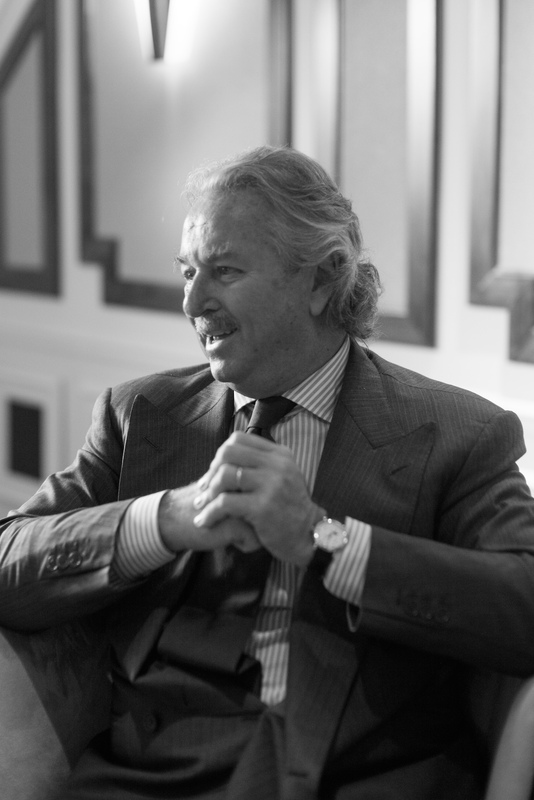 You can follow the discussion on Interview: Pier-Luigi Loro Piana by entering your email address in the box below. You will then receive an email every time a new comment is added. These will also contain a link to a page where you can stop the alerts, and remove all of your related data from the site. This is an interesting interview! One might say that the main issue you both have raised is about quality in menswear. But since nowadays neither price tags nor – even – label are necessarily a sound token of quality, so makers as well as buyers are equally challenged as to what makes up quality or how it could be recognizable at once. Admittedly, this is one that mostly arises when it comes to RTW, whether it’s about jackets, shoes or any other item. Therefore a tremendous effort is really needed to take up this challenge since bespoke will remain reserved to only few. The quality of their cashmere is off the Richter scale and their colour palette is very refined but it is all eye wateringly expensive. I restrict my LP purchases to absolute staples (mainly v neck sweaters) but they wear like nothing else. I bought a grey sweater ten years ago and it hasn’t got a bobble on it. Their out wear with their storm system is also very special. I’ve a versatile travel jacket that breaths like nothing else whilst being the most waterproof item in my wardrobe. How they’ll do under LVMH ownership will be interesting to see. Their indiscriminate brand expansion normally knows no boundaries – Berlutti into menswear – being a classic example. Simon, I too share this concern about the quality an craftsmanship of Loro Piana long term as a result of LVMH ownership. Would you please address this question in more detail? Have you discussed this concern,if it is a concern,with Mr. Piana? Interesting interview. I still have to try their cashmere, but at the moment I tend to buy cheaper alternatives. I have tried Eric Bompard and the result has been quite good. Let’s see how it ages. Given the fewer comments to this article I fear many may have overlooked the real treasure of knowledge in this piece . In that paragraph alone he’s summed up the dilemma many men face as well as the craziness of women’s fashion. That’s why we come to this blog, to understand what brands are about quality. Great interview to round off the year. Maintaining a consistently high level of quality, information and entertainment across a broad range of subject matter must be tiring – so I hope you enjoy a well deserved break over the holiday season. It was great to meet you in person this year – all the best for 2016. How does the quality of Loro Piana compare to Smedley? I have five or six of the Smedley Orton range (silk/cashmere), at around £400 a go, and I was wondering whether it is worth “upgrading” to Loro Piana. Simon, are you familiar with their London shops? If so, which has the broadest range, if one wants to peruse their items on of these days. Merry Christmas! I thought their custom suit offering was full bespoke but that doesn’t appear to be the case. Is it MTM or MTM with more hand finishing? I’m a bit puzzled. Lovely post. I haven’t tried their MTM sweaters yet but I have come close (I think) with MTM from Paul Stuart in NYC. They use LP cashmere and have their sweaters made in Scotland as you probably know. I’ve been very happy so far. I would rate cashmere from William Lockie the equal of anything I have seen, and there is no price premium to be paid for a “name”. Hi Simon, Interested to see that you have added a link to Howard’s in Paris to the site, which by coincidence is offering seven-fold ties made from various LP fabrics. What, if any, is your experience with Howard’s? I can’t tell if these are “true” seven-folds but their tie quality/construction looks broadly similar to Viola Milano or Shibumi. His statement rings true, there are few times I can, or want to, afford LP clothing. But every time I spot a an LP store I am drawn to inspect the wares, if only to appreciate the quality. Icer coats and Storm systems jackets are on my wish list. Most of my trepidation in pulling the trigger on an item, is based in my lack of confidence in any dry cleaners I have EVER entered that would not destroy the item when I need it cleaned. i generally like your site, however I truly wonder what specific kind of “fabrics research” warrants to charge €6200,- for a simple cardigan (“Bomber Classic”). After all a ready to wear, non-fitted, very simply garment — for which Loro Piana charges more that an excellent, fully bespoke suit would cost. Correct me, but this price point appears ludicrous to me and I associate it with a gaudy, ostentatious and very forced display of wealth. Fair or not, this reminds me a lot of Vertu. Is that the one in vicuna? That’s a big part of your answer – the material is so rare and expensive that it is charged at astronomical rates. I won’t defend LP margins generally, but they’re no more than any other big designer brand, and the quality is always better. Just as much profit, but money spent on fabrics rather than creative directors. great interview. I do agree with his point that they don’t make bespoke because you are buying their look. This is the same with Tom Ford, I remember reading an article of yours a while back explaining that Tom Ford do not do bespoke because you are buying the Tom Ford “look” which will be lost in bespoke. Much better value to by LP cloth and have it made up elsewhere I assume? I am considering the purchase of a trench to be worn on rainy days over a suit. Loro Piana will be one of my options. Could you please recommend me other places? What about Hermes? I’m pondering a pair of Loro Piana Open Walks or possibly summer walks. I’ve tried them on and they’re crazy comfortable. Looks aside, as I know they aren’t for everyone, do you have any personal or second hand experience of their quality? They’re not cheap as you know, and compared to a pair of proper welted shoes, I’m concerned about longevity. This was such an amazing opportunity and wonderful interview! Thank you for this post. These designers and their appreciation for beauty in both quality textiles and craftsmanship is slowly disappearing… from my observation, there is an emergence of contemporary randomness in the fashion world. Loro Piana has kept true to their Italian heritage (their textiles are beyond words, especially the Zibeline!) and I am glad to see that, especially in Europe. MaxMara, Brunello Cucinelli, Kiton, Isaia Napoli to name a few have stayed true to quality and aesthetic. You dress beautifully Simon! Best wishes. Suzanna. Xo.